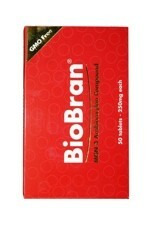 Biobran, otherwise known as MGN-3, is a powerful non-toxic glyconutritional food supplement, created through a patented process of breaking down rice bran using enzymes specially extracted from the Shitake mushroom. 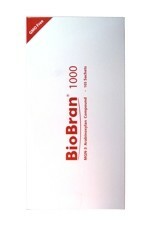 It has been clinically studied for its role in supporting the immune system. The unique molecular fingerprint of this product makes it significantly more effective than other immune system supplements on the market today, giving your body the best opportunity to optimise its own natural healing mechanisms. 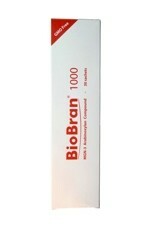 BioBran is currently available from the UK through The Natural Choice as three different pack sizes: 50 x 250mg tablets; 30 x 1000mg sachets; 105 x 1000mg sachets.